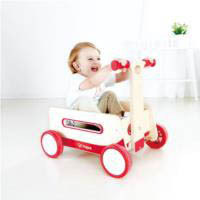 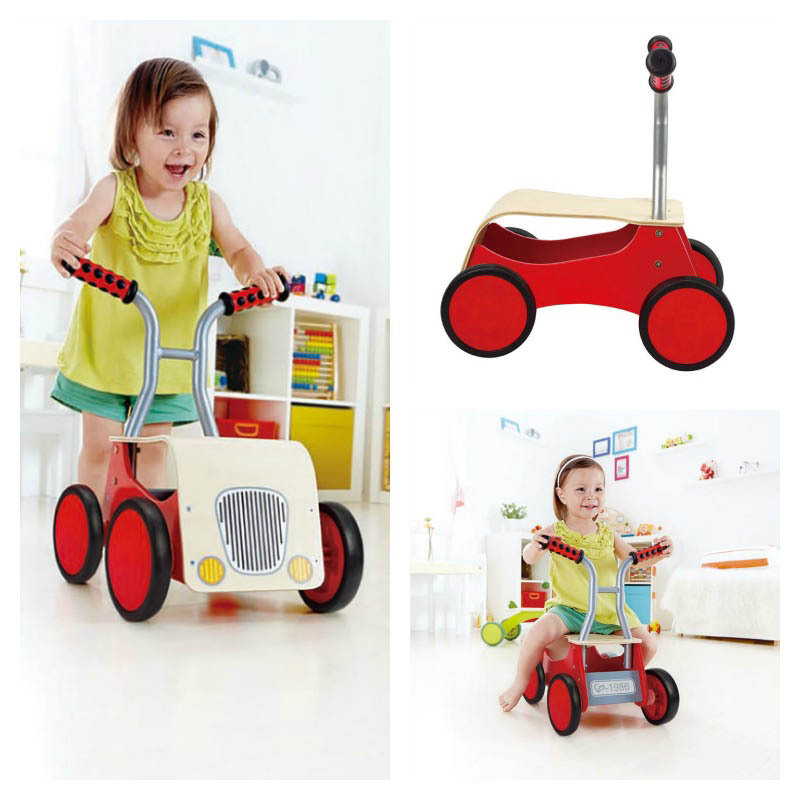 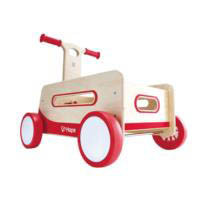 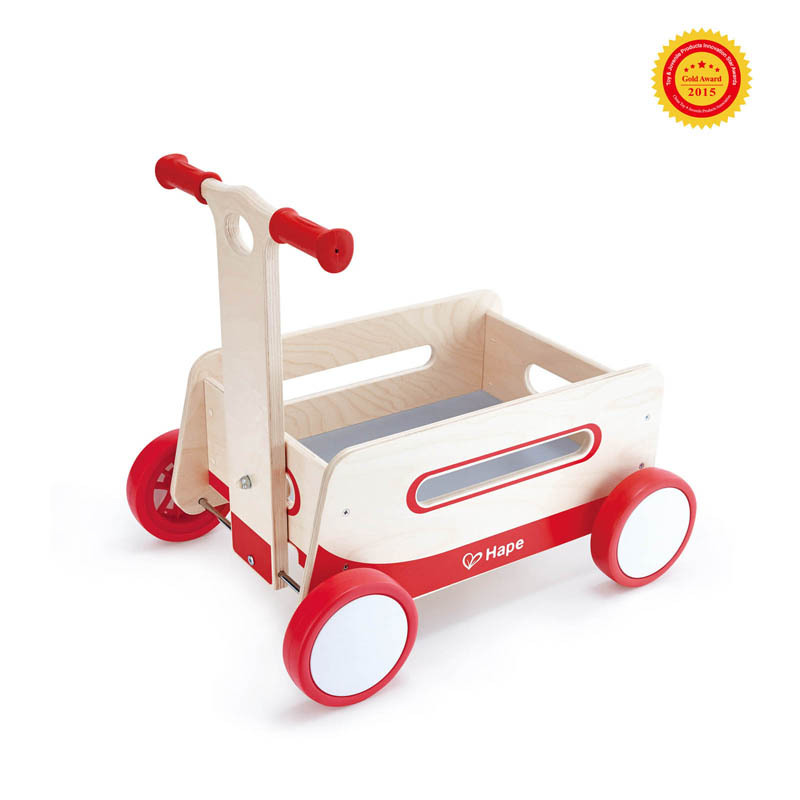 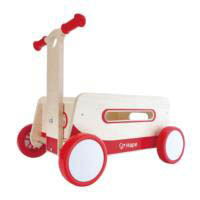 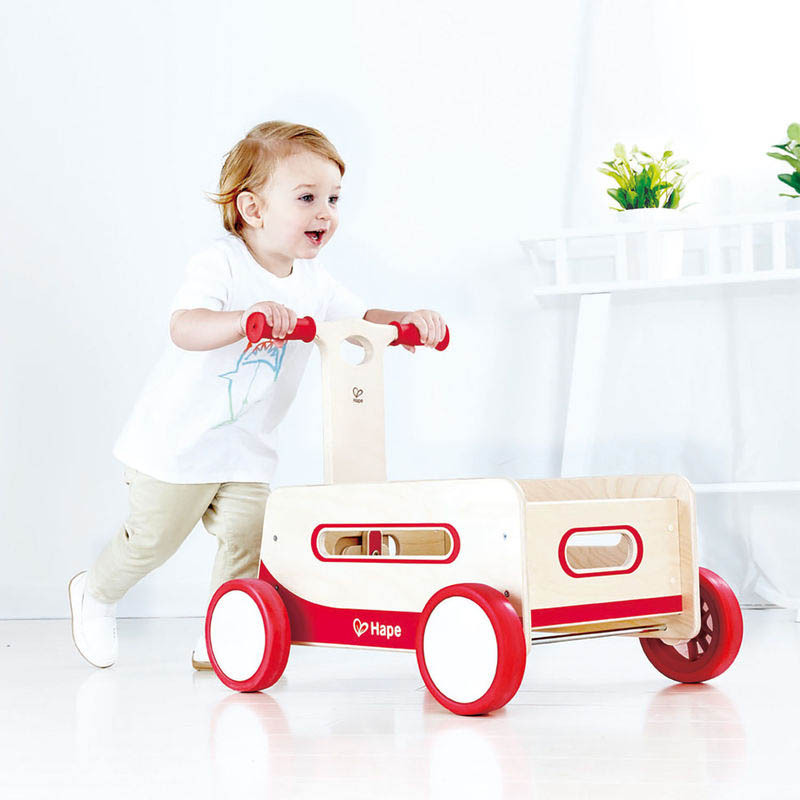 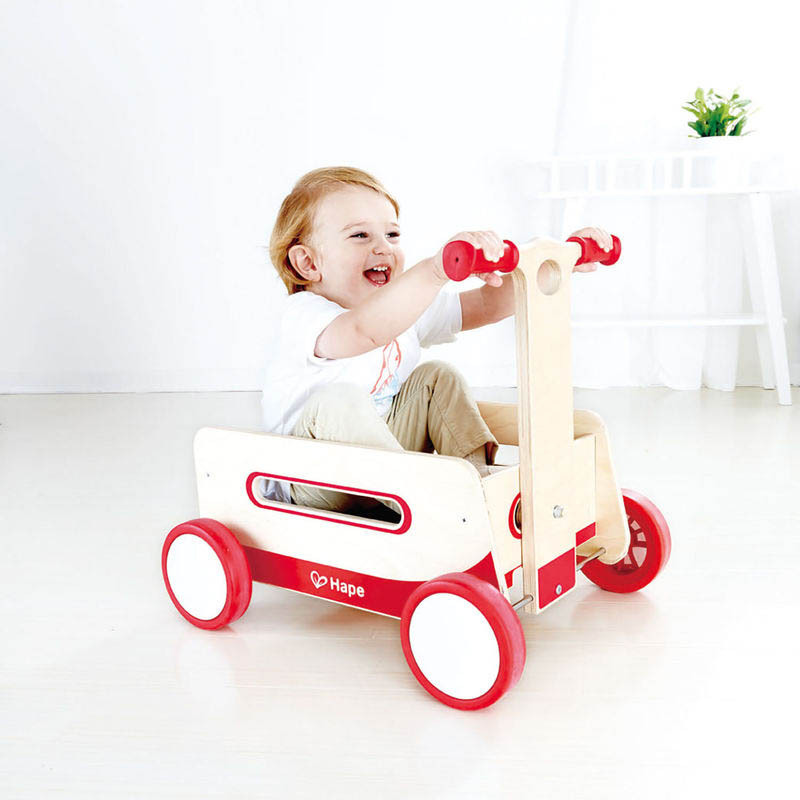 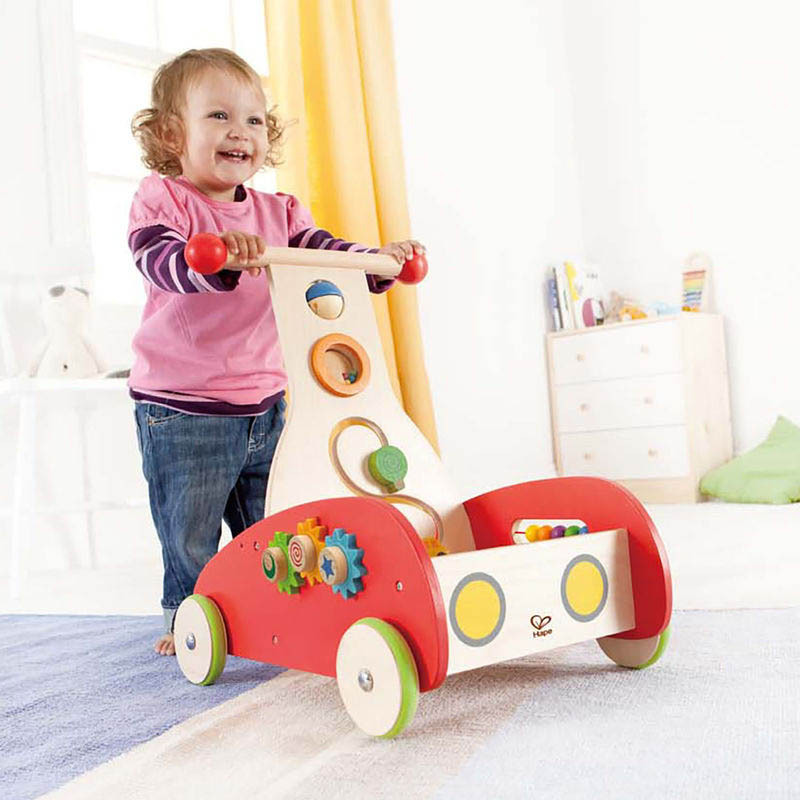 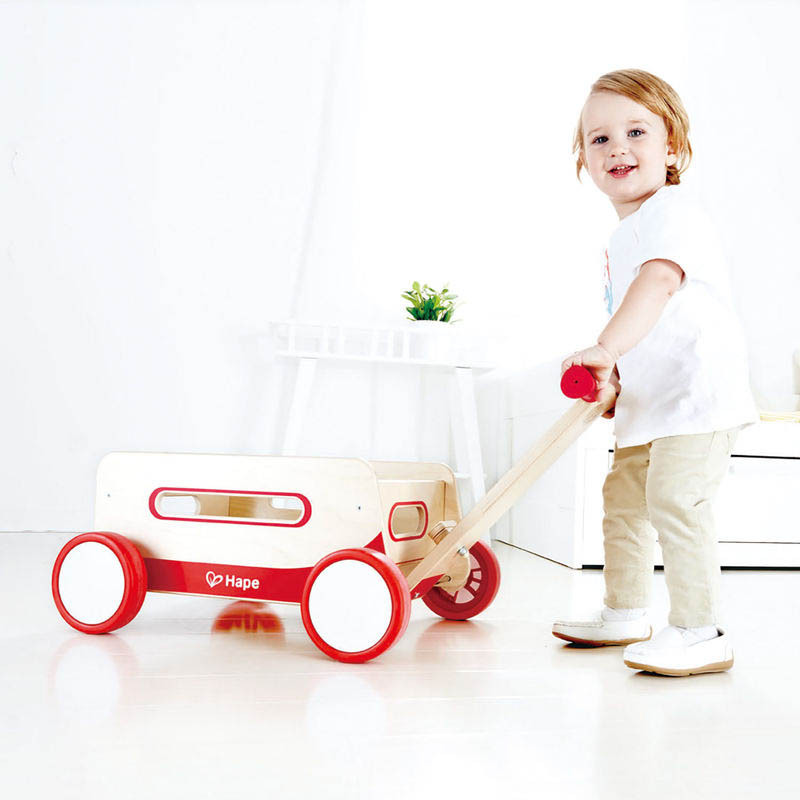 Push, pull and load up this super, multi-purpose wooden Wonder Wagon from Hape. 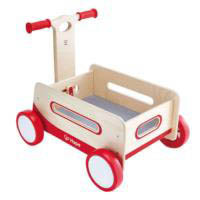 Use as a first walker with 4 stable wheels to build confidence, advanced walkers can load up the wagon with toys to push and pull, building resistance and strength. Pull handle conveniently folds up and locks in place. 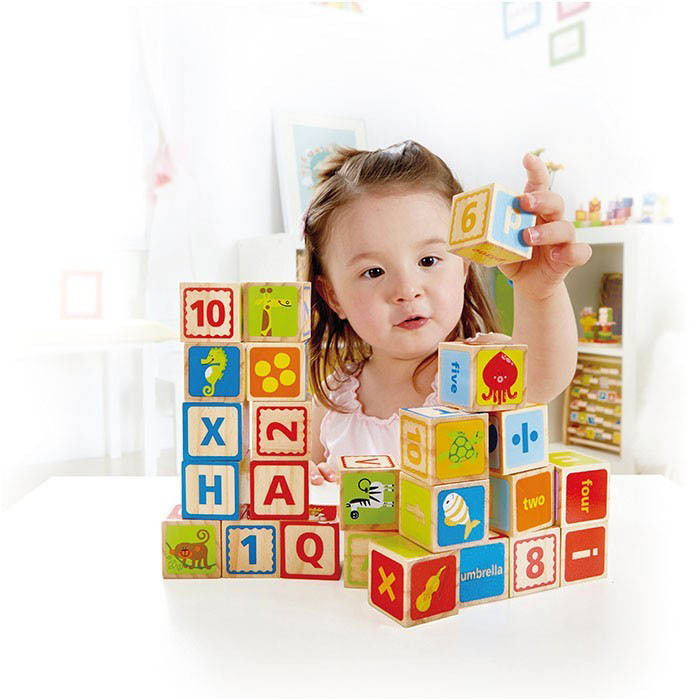 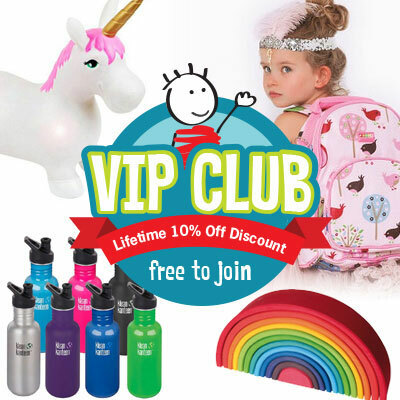 Also safe for little passengers and to haul and store toys, blocks and more - so much fun!